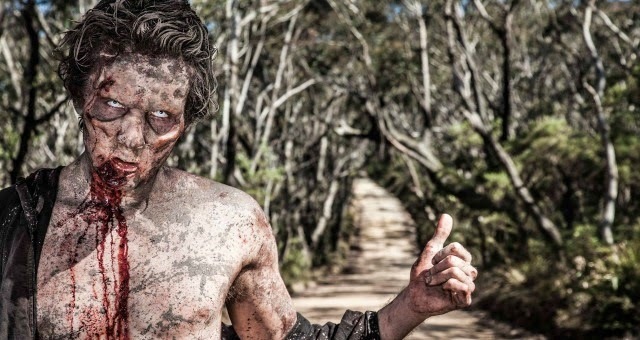 Wyrmwood: Road of the Dead is a gore-heavy, deliberately schlocky Australian zombie film in the tradition of Planet Terror and Undead. Neither of those films was very good, which doesn’t bode well for Wyrmwood, a late entry in an extremely overcrowded marketplace. Wyrmwood tells the standard zombie film story of a group of survivors on the run, trying to locate loved ones and a safe haven. The nominal protagonist, Barry, has been forced to kill his undead family and hit the road in search of his sister, who has been abducted by the government. The body count, for both friends and enemies, hits the roof. The real problem for all of these films, without exception, is that every interesting deviation and nuance possible for the zombie genre was explored by Romero in the original Dead trilogy. Barring a few extremely rare outliers (such as 28 Days Later), zombie movies have been auto-cannibalising for a long time. The sad truth is that nobody’s particularly shocked anymore by the sight of a man killing his zombie daughter with a nailgun, as happens in Wyrmwood’s opening act. And the film’s messages are exactly what you’d expect: aim for the head, look after each other, you can’t trust scientists or the military, etc. So, yes, you’ve seen Wyrmwood before, countless times. But it’s not without its charms. The film’s videogame logic keeps it cracking along energetically from location to location, vehicle to vehicle, battle to battle. The special effects are very well-done, especially as the film presumably didn’t have a particularly big budget. The cast are pretty good and they handle the tongue-in-cheek dialogue with panache (a lot of them seem to have dabbled in comedy in the past–their timing is great). Also, although Wyrmwood sometimes lays on the Australianness a bit thick, for the most part its gang of losers and bogans are likable and recognisable. And it ends with a surprisingly well-staged fistfight. 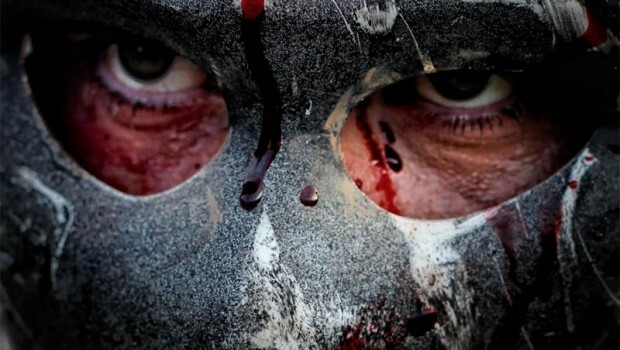 If there’s one thing that helps to set Wyrmwood apart, it’s the setting. The film takes place almost entirely on roads deep in the bush, and the influence of Mad Max is clear (the characters all wear homemade armour). Still, it would have been interesting to see the film spend more time establishing a particular geography, a sense of where particular locations lie in relation to each other. The fewer of these films you’ve seen (and the more your tastes align with those of a twelve year-old boy) the more you’ll get out of Wyrmwood. It’s not outstanding in any respect, but it’s enjoyable, in its own way. The directors seemed to have a lot of fun making it and their enthusiasm is mildly contagious. Wyrmwood sets its sights low and lands pretty much squarely on target–that’s an accomplishment, isn’t it?